Article by Field Staff Writer G. Thurman. Hunting has always been more than just a hobby to my family and me. It is a lifestyle of appreciating what the natural world has given us. Through hunting, we have shared many camps with people from all walks of life and yet we all share a common passion. One year ago I met Justin, a friend of my younger brother. Justin easily fell right into our group of hunting family and friends, a softer spoken man with a big heart. He is a firefighter and paramedic along with being a full-time dad, husband and son. When I met Justin his father was battling a rare form of brain cancer, a crippling disease that was robbing this once active man of life. Like most of us, Justin’s dad was where it all began for a lifelong obsession with hunting and the outdoors. To watch his dad slowly become too weak to get out in the field was devastating. His dad put up the fight for a full year but in the end it was too much. 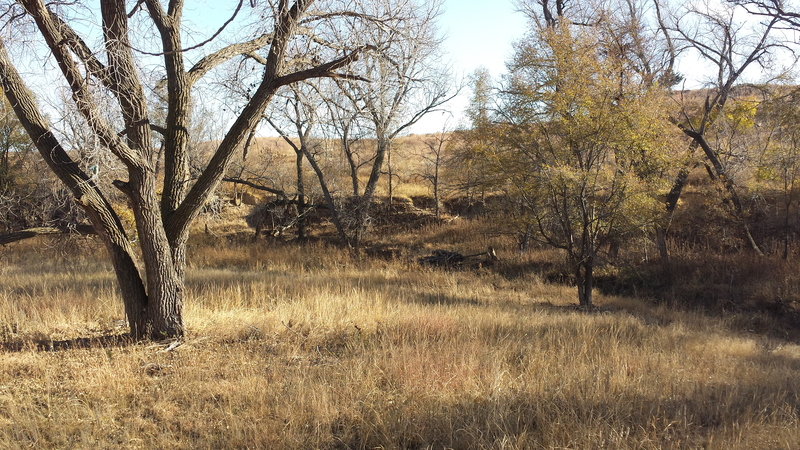 Justin had heard our stories about bow hunting mule deer in western Kansas more times than I can count. He had told me that it was a trip him and his father had talked about doing for years but they didn’t know really where to even begin. I have been very blessed with gaining friends and access to some amazing hunting ground in my home state. I talked it over with my other family members and we asked Justin to join our annual deer hunting camp at my friend’s ranch. For the next nine months it’s all he could talk about every time I saw him. I was more than happy to give him something to look forward to in the time of getting everything squared away after his dad’s passing. The first day in camp it was like watching a kid on Christmas morning, I was more excited trying to get Justin a mule deer than I was about shooting one myself. Justin had only ever hunted close to home, never experiencing a true hunting camp where the worries of the world are put on hold for just a bit. As we hiked into the river bottom that first morning to the stand I was going to put him in; Justin told me he had never even seen a mule deer buck in the wild and how would he know if it was a good one to shoot. I assured him he would know and gave him a few pointers on how to judge them. I told him a mature mule deer buck’s body size will astound him compared to a whitetail, they are built like a horse. That first morning we saw a parade of smaller mule deer bucks from our stands along with a couple big whitetails just out of bow range. The first afternoon hunt I put him in a different stand that was set up next to a rock bluff and the river, a perfect bottle neck on a travel route. He had an exciting evening hunt of many close calls on several bucks, just not the right one. As we drove out of the river basin that evening in the waning light we could see an absolute giant of a mule deer feeding in a winter wheat field. Justin was speechless and that night around the fire he kept saying, “I never knew they could get that huge.” I told him who knows the next morning that deer could just as easily walk by his stand as any other buck. The next morning I was sitting in a river bottom, where cell phone reception is nonexistent, after hunting most of the morning I decided to get down to go hang a stand on another part of the ranch. As soon as I crawled to the top of the hill my phone exploded with messages. It was Justin he had shot his first mule deer buck. I quickly made my way over to where he was to help in the tracking job. When I got to his stand he was on the ground with the buck not even ten yards from where he had shot it. The buck came in from the west down the river bottom, Justin had shot the deer practically under his stand at all of three yards. As we caped and quartered out the deer Justin said he felt like his dad was there with him in that moment. That feeling of gratitude I will never forget, fulfilling this man’s wish will stay with me forever as one of my greatest hunting experiences.